“You mean tooth decay is a disease?” The facts that oral health advocates take for granted can surprise some Americans. Here’s another fact that not everyone knows: nearly 70 years of research and experience demonstrate that fluoridated water is a safe and effective way to reduce our risk of tooth decay. Public health advocates in several states worked hard to convey that message, and Tuesday’s election results offer proof of their success. The Children’s Dental Health Project (CDHP) advised dental professionals and other health advocates in Michigan to make sure the public could separate fact from fiction. In both Michigan communities where fluoridation was on the ballot, it prevailed by a resounding margin. Yet CDHP's role was relatively small. The most significant work was performed by local residents who knocked on doors, talked to friends and neighbors, and shared the facts about fluoridation. These committed individuals reminded fellow voters that fluoridation is endorsed by the most respected health and medical organizations — the American Academy of Pediatrics, the American Dental Association and the Institute of Medicine, to name only a few. The Michigan Oral Health Coalition summed up Tuesday's votes this way: "Fluoridation is both a health and financial win for Michigan." These local volunteers also made sure that people understood that fluoride toothpaste isn’t a replacement for water fluoridation — just as air bags in cars aren’t meant to replace seatbelts. These Michigan and Kansas volunteers gave up many hours of time from their own families to continue a health practice that benefits all families. In Kansas, CDHP provided a cost impact analysis for the state’s oral health coalition, showing that ending fluoridation in the city of Salina would increase residents' annual dental care costs by an estimated $580,000. As in the Michigan towns, the crucial work in Salina happened in neighborhoods and outside grocery stores where parents, dentists, teachers and physicians had those all-important, one-on-one conversations with voters. Salina voters supported fluoridation by a better than 2-to-1 margin. These Michigan and Kansas volunteers gave up many hours of time from their own families to continue a health practice that benefits all families. They deserve our collective thanks. 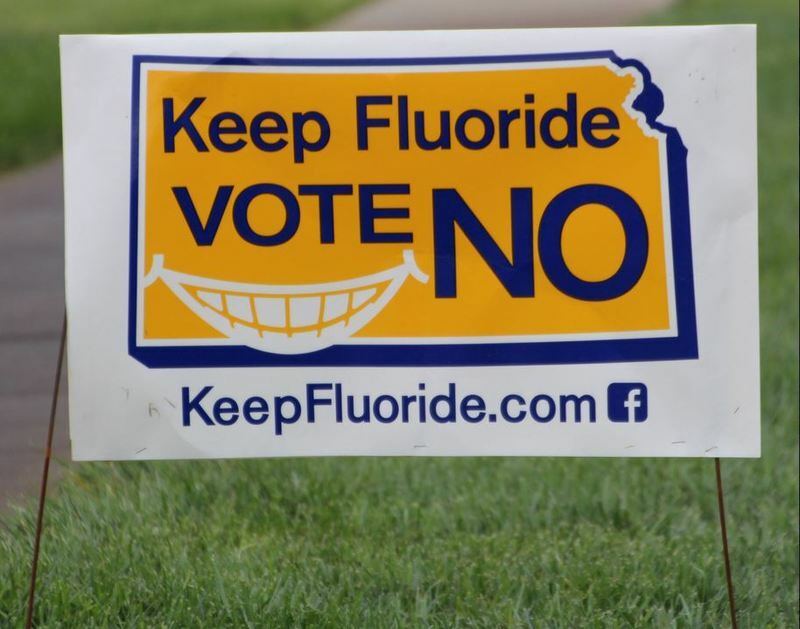 Fluoridation was also approved Tuesday by voters in California and Washington State towns. Political pundits are busy talking about the “big winners” in Tuesday’s election, but if you ask me, the children and adults in these communities are big winners too.